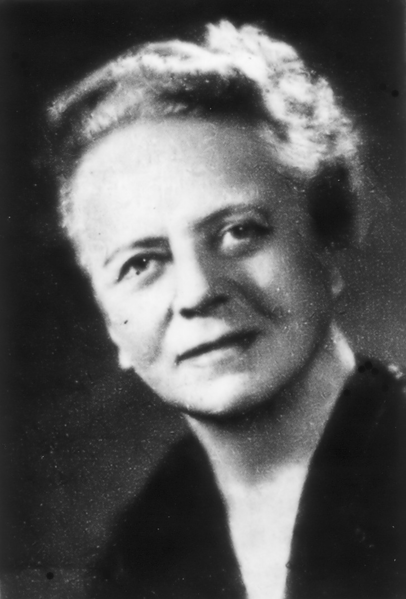 Chemist Ida Noddack was the first person to theorize the possibility of nuclear fission; a concept that, up until recently, she did not receive credit for. Noddack is also known for her collaborative discovery of the element rhenium. Ida Noddack (née Tacke) was born in the Rhine region of Germany on February 25, 1896. From a young age, she had a strong interest in chemistry and decided to pursue it as her career. In 1915, just six years after women were officially allowed to study at the university level in Berlin, Noddack attended the Technical University of Berlin. She was one of the first female students in Germany and, within that group, one of the first women to study chemistry. Ida Noddack. Image licensed under CC BY-SA 3.0, via Wikimedia Commons. In 1921, Noddack earned a doctorate from the Technical University of Berlin and began a career in the chemical industry at the Physico-Technical Research Agency in Berlin. There, she worked with chemists Otto Carl Berg and Walter Noddack, the latter of whom she married in 1926. Noddack’s position at the research agency was unpaid, which was normal at the time for women in her field. 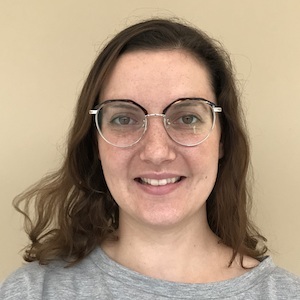 Throughout her career, she would often sign on as an unpaid research assistant where her husband worked so that they could conduct research together. Although lacking in both compensation and credit for her work, Noddack made many significant contributions to the field of chemistry. Today, she is known for two standout accomplishments: the discovery of rhenium and the first proposal of the possibility of nuclear fission. When Dmitri Mendeleev developed a way to organize chemical elements in 1869, he left spaces in the table for yet-to-be-discovered elements. This inspired many scientists to become “element hunters”, seeking out the discovery of unknown elements to complete the patterns set forth in the periodic table. In 1925, the Noddacks and Berg attempted to find elements 43 and 75. The three scientists theorized that element 75 was present in the ores of metals. They used X-rays to examine a range of ores and finally found the new element in platinum ores within a mineral called columbite. The element is so rare that to produce just 1 gram, the team had to process 600 kilograms of ore. They named the element rhenium after the Rhine river near Noddack’s birthplace. 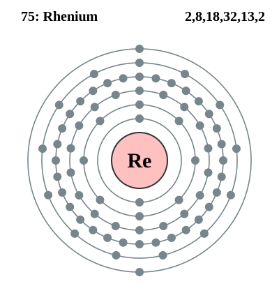 Left: The electron shell diagram of rhenium. Image by Greg Robson — Own work. Licensed under CC BY-SA 2.0 UK, via Wikimedia Commons. 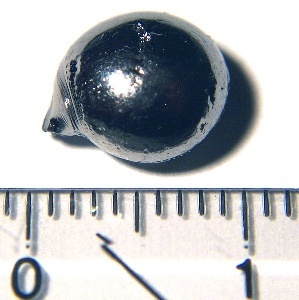 Right: A rhenium pellet. Image by Alchemist-hp. Licensed under CC BY-SA 3.0 DE, via Wikimedia Commons. Rhenium’s largest applications (70% of the world’s production) are as alloys for jet engine parts, due to its ability to withstand high temperatures, and in platinum–rhenium catalysts in the petrochemical industry. Due to its water resistance, rhenium is also used in magnets for marine engines, and it is used in the production of an alloy found in oven filaments and X-ray machines. In 1934, Ida Noddack wrote an article for the Journal of Applied Chemistry, “On Element 93”, pointing out errors in the work of physicist Enrico Fermi. Specifically, she argued that he incorrectly interpreted the results of an experiment in which he bombarded the nuclei of uranium atoms with neutrons. Fermi claimed that he was producing something entirely new: transuranium elements. Noddack saw it differently: She theorized that the uranium nuclei were splitting, undergoing a “fission process”. Fermi rejected Noddack’s theory and ignored her paper. Little did he know, she had predicted what would soon be known as nuclear fission. 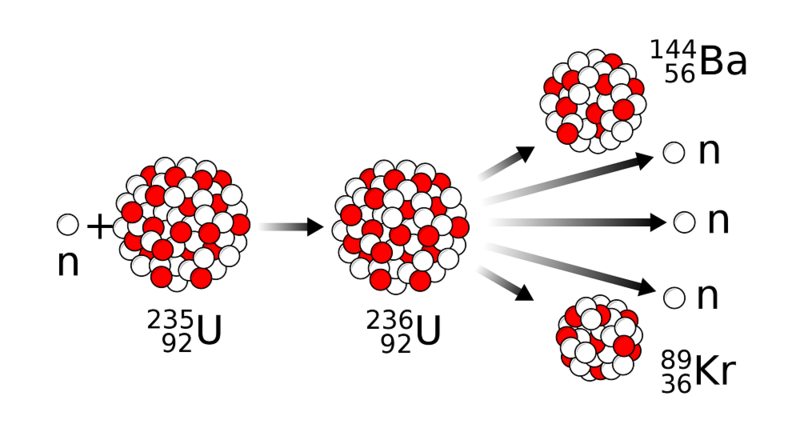 An illustration of the nuclear fission process, in which a uranium nucleus breaks into barium and krypton. Image by MikeRun — Own work. Licensed under CC BY-SA 4.0, via Wikimedia Commons. In 1931, Ida Noddack and her husband were awarded the Liebig Medal, and in 1934, they both received the Scheele Award from the Swedish Chemical Society. Noddack was also awarded an honorary doctorate from the University of Hamburg in 1966. In 1983, Glen T. Seaborg included Ida Noddack in his book of “landmark” scientific publications on uranium and fission, Transuranium Elements: Products of Modern Alchemy. He cited “On Element 93” and recognized Noddack as the first person to acknowledge the possibility of nuclear fission. Today, Noddack is recognized not only for her contributions to our understanding of nuclear fission but also to the field of STEM overall. Let’s wish Ida Noddack a happy birthday!